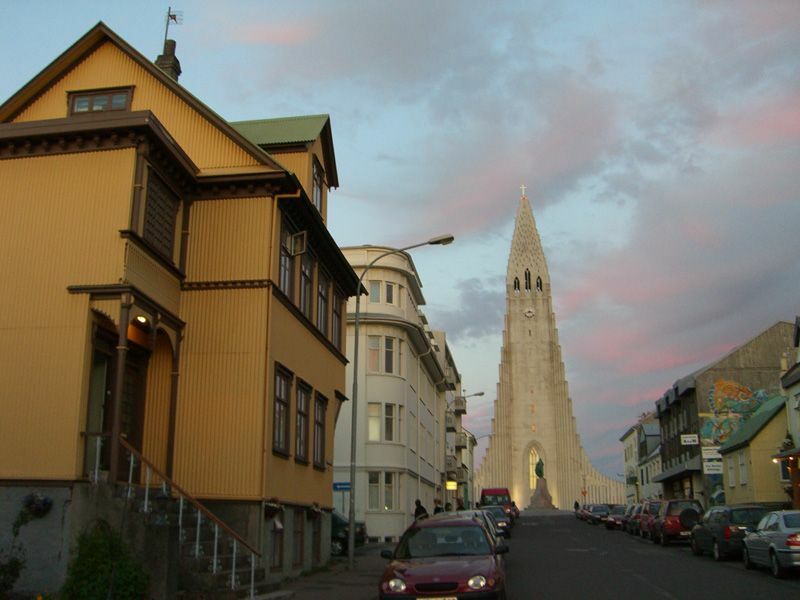 Felicias Flat, Downtown Reykjavik, Flott beliggenhet nær Hallgrimskirkja. Ligger i sentrum av byen, er Felicias Flat innen gangavstand fra turistattraksjoner som museer, parlamentet, havn, kunstgallerier, butikker og restauranter. Leiligheten rommer komfortabelt fire personer og består av en åpen kjøkkenløsning, spisestue og stue, et soverom med dobbeltseng, et soverom med enkeltsenger og et bad med dusj og toalett. Soverommet vinduene har mørke persienner. Wi-fi og smart-TV. I løpet av sommeren, kan vi arrangere rideturer på vår gård i nærheten. Due to weather issues our plans were canceled. However, communication was great prior to the scheduled trip. Location Location Location. That's all I have to say. The perfect location for our family trip. Comfortable and cozy flat close to restaurants and shopping. Also included a parking spot which was very handy. The place was clean and the beds were comfortable. Gudbjorg was more than accommodating and was very helpful when we blew a fuse and needed help with drying clothes. THANK YOU! My friend and I stayed for about a week in the flat and we loved it. Centrally located, you can walk anywhere you need to go in the city center. It’s well furnished and has a lot of character. Gauja is a great host and will help with anything you might need. I would definitely stay here again! We absolutely loved staying here. Excellent location, everything you need is within walking distance. The flat has ALL the essentials you need. Beds are comfortable, great shower and very clean. Gudbjorg is very quick to respond to any issues you might have. Lovely apartment. It was easy to communicate with the owner who answered quickly with questions we had. The place was so easy to find thanks to its proximity to the church which could be seen from everywhere. It had all you would need for a short or long stay. We loved this place- great size for 2 small kids and 2 adults. Perfect location. Clean with everything you need. Definitely recommend. Ligger like nedenfor kirken Hallgrimskirkja og 5 min gange til sentrum og den nye musikken hall Harpa. Gaten er med mange gallaries, islandsk kunsthandverk butikker, resaurants og kaffebarer. Einar Jonsson sculture gallary er på hjørnet. There is 3% charge if paid with credit card. With Paypal and bank tranfer payment the costomers need to pay the transactions fee.